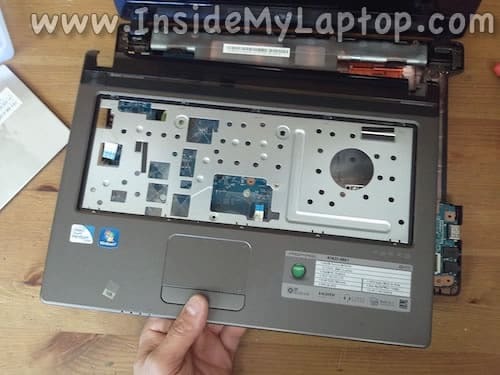 In the following guide I will take apart an Acer Aspire 4743 series laptop. 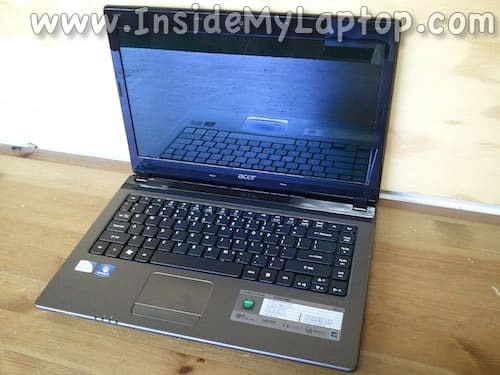 In my case the full model name is: Aspire 4743z-4861. 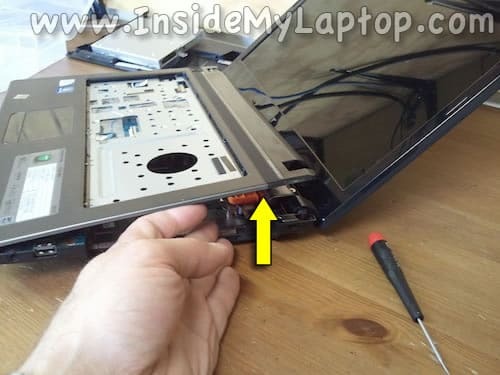 Make sure it’s turned off completely before starting the disassembly process. 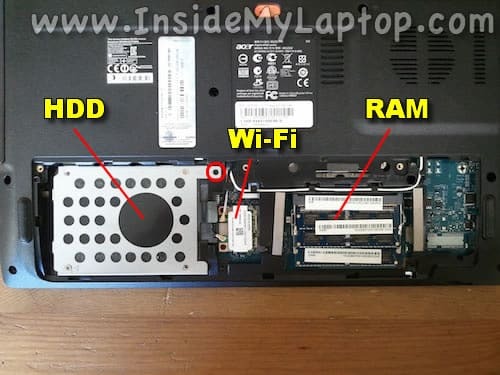 Under the cover you will find the hard drive, wireless card and both RAM modules. 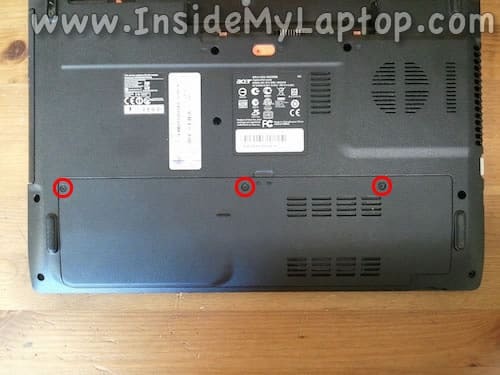 There are five latches securing the keyboard to the top cover. 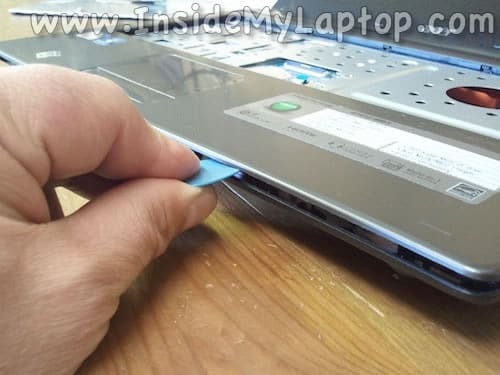 Push on the latch with a small screwdriver until it moves into the case. 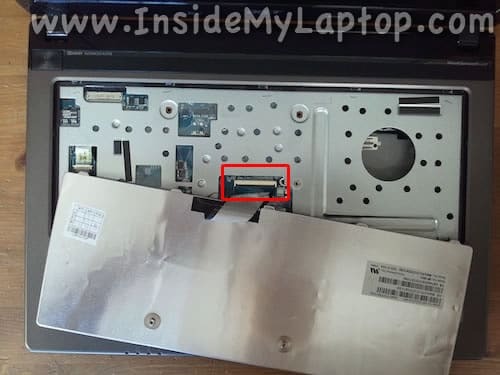 When the latch pushed in, the keyboard will lift up a little bit and the latch will not be able to lock back in. 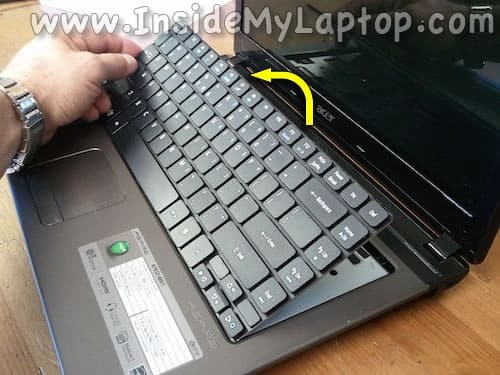 Separate the keyboard from the top cover and turn it upside down. Place on the palm rest. 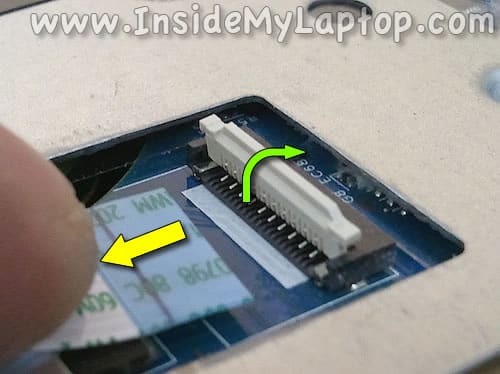 Now you can access the keyboard cable connector, unlock it and release the cable. 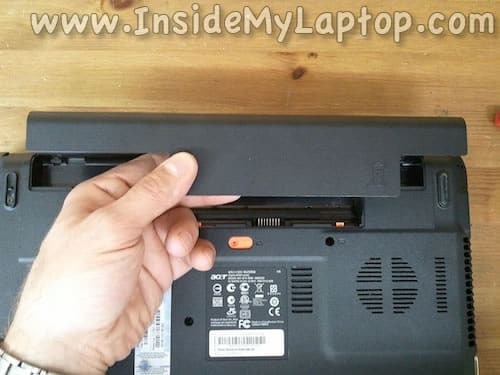 Lift up the left side of the retaining tab until it opens up at a 90 degree angle (green arrow). 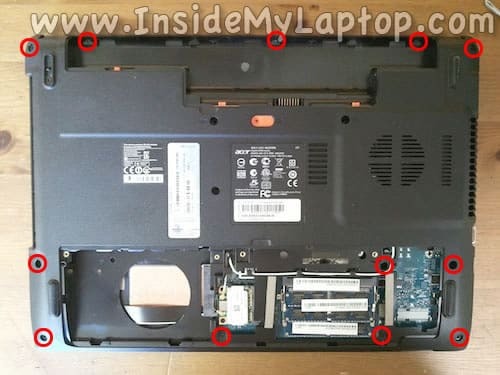 Remove shown screws from the bottom case. Remove one screw securing the top cover (palm rest) assembly. 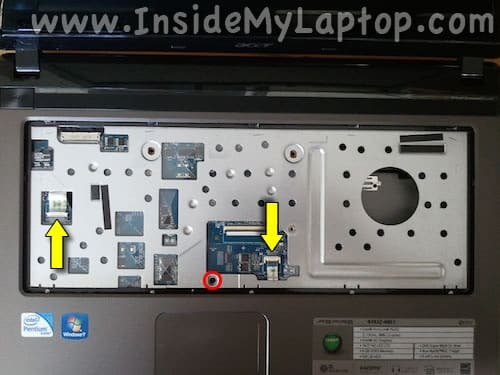 Disconnect the touchpad connector (right arrow). 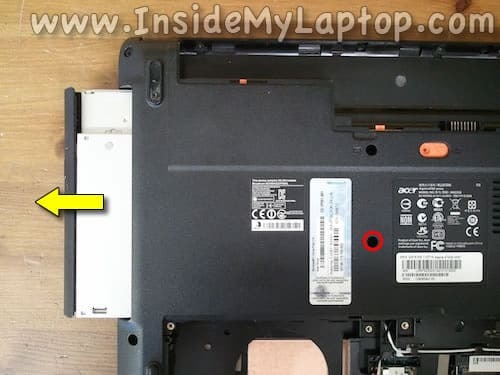 Unlock the connector by lifting up the retaining tab. I’m using a guitar pick to separate two parts from each other. 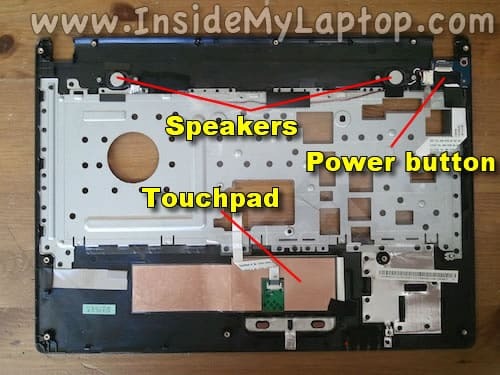 On the other side you can access both speakers, touchpad and power button board. 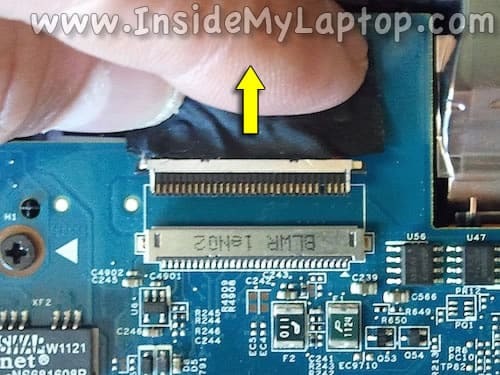 When the top cover removed you can access the CMOS battery and USB board. 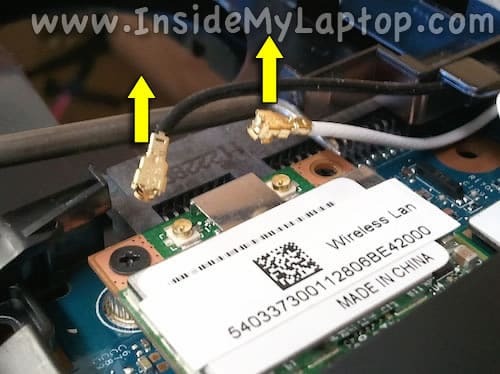 Before you can remove the motherboard from the case it’s necessary to disconnect two antenna cables from the wireless card. 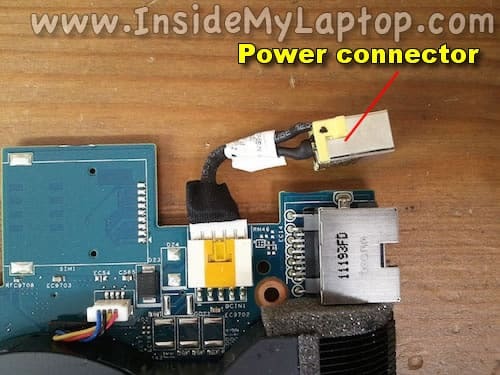 Disconnect the display cable and USB board cable. 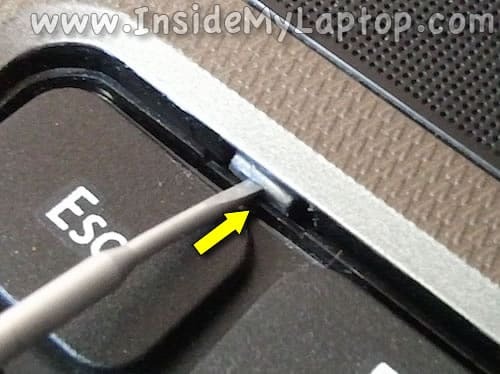 Here’s how to unplug the display cable. Start lifting up the motherboard on the right side. 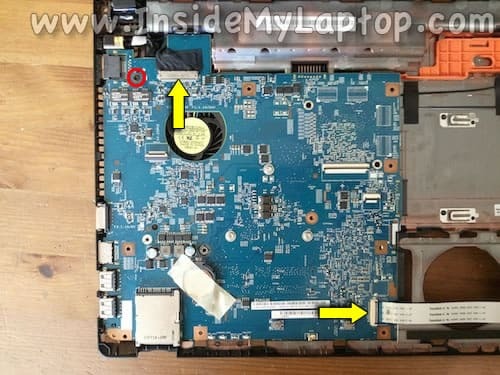 Remove the motherboard from the case. It comes out with the power connector attached to it. 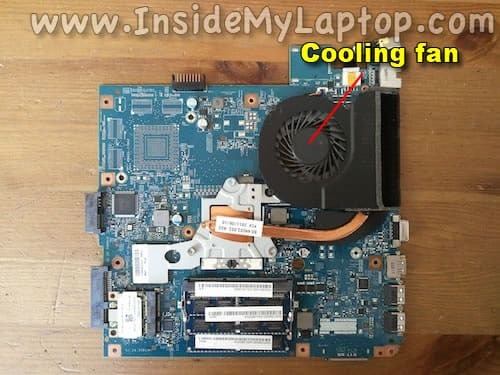 On the other side of the motherboard you can access the cooling fan and heat sink. 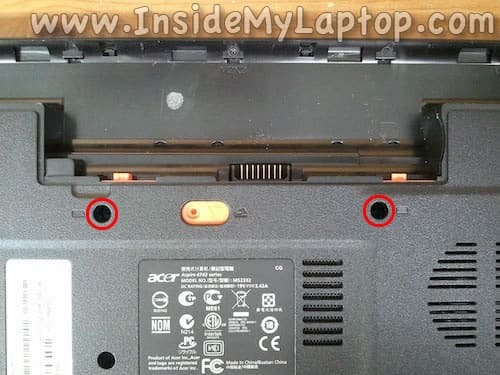 In Acer Aspire 4743 series laptops the power connector can be easily replaced. 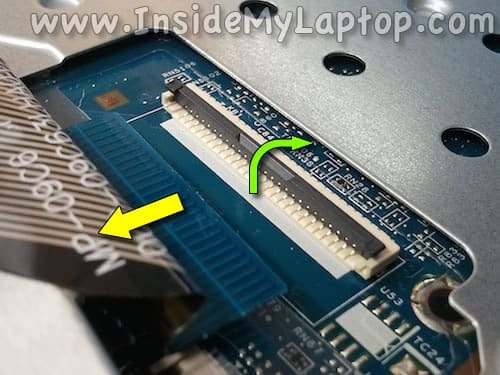 Simply unplug the cable from the motherboard and replace with a new one. Hi, thanks. It works for my Aspire-4750G too. 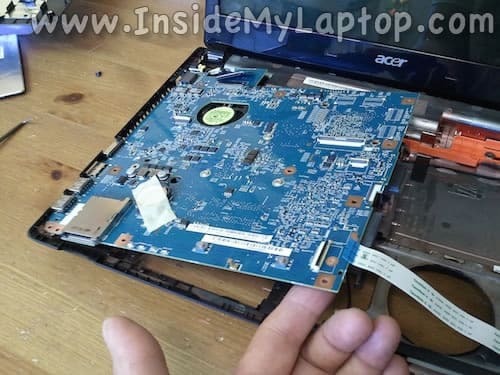 It works also for my Acer 5742z.Thanks ! Thank you.. Just now wanna open all of it just because want to change the keyboard only. Luckily bump this webside. Thank you very much. 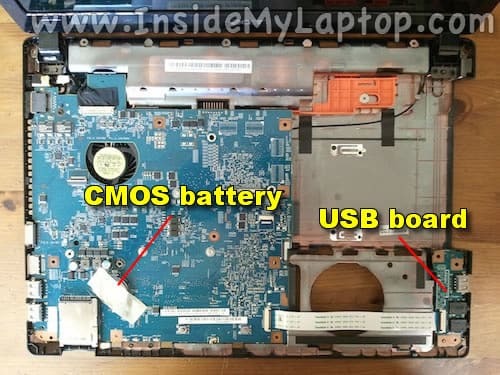 Its help me changing the CMOS battery easily. Your sharing really helps me. My acer was working great one day then we turned it off and tried to turn it on again and no power. The 2 lights come on but it won’t boot. We get like one click from the hard drive that’s it. I’ve pulled it all apart as you instructed looking for some obvious flaws but all looks good. There’s a bit of fluff in the fan and dirt in places but no corrosion or hot spots. Could it be one of the small coin batteries? 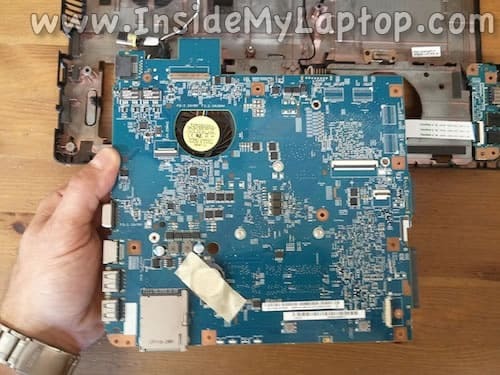 or the power jack like you said you could put a new one in??? I know its an old computer but its been great and we love Win 7, hate the new 10, just want my computer back.